Electro-Harmonix has had a couple Big Muff related announcements in the past couple days, including the new Deluxe Big Muff Pi. 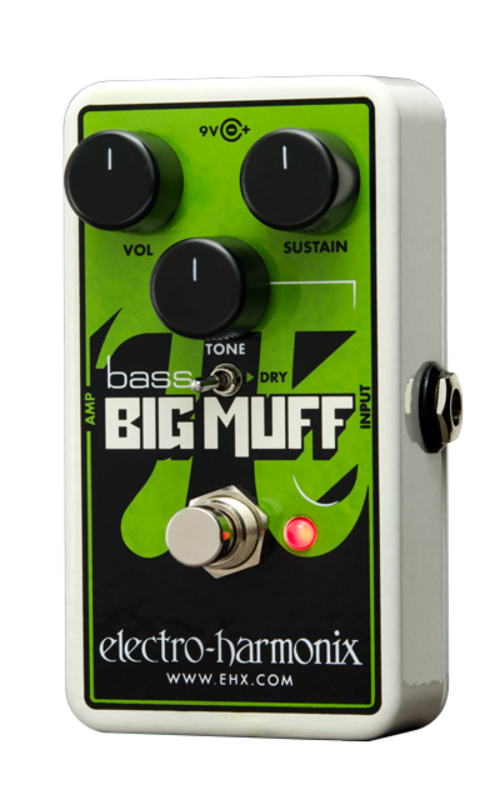 Just yesterday, Electro-Harmonix announced the new Nano Bass Big Muff. The pedal is designed to be the same size as the other pedals in the Electro-Harmonix Nano line, but to not sacrifice any of the tonal characteristics in doing so. The Nano Bass Big Muff has the same 3 controls as the Bass Big Muff Pi, Volume, Tone, and Sustain. Not only that, but the pedal now includes a dry switch to allow you to mix the wet signal with the dry signal. There’s no word yet on a release date or pricing, but keep an eye on AllThingsGear for information as it is released!